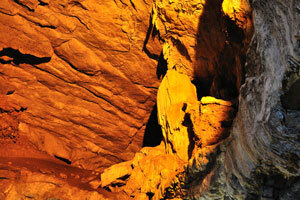 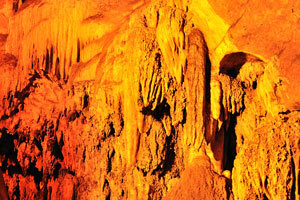 Borra caves are located 90 km away from the Vishakapatnam district in Andhra Pradesh. 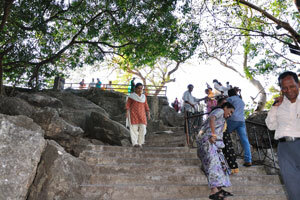 Whether you travel by train or car, the journey will take you through mountainous Eastern Ghats with its lush green vegetation that is cut across by over 30 tunnels. 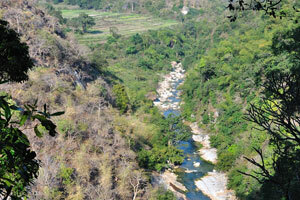 The Araku valley through which we pass to reach the caves is indeed enchanting. 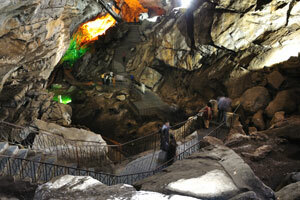 The caves are found in the Anantagiri hills at a height of 800 to 1300 meters above the sea level. 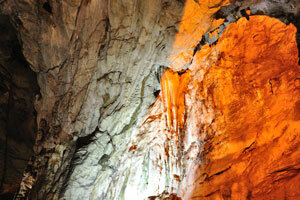 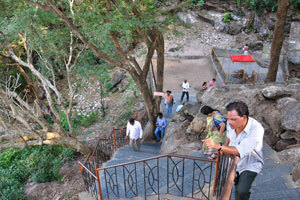 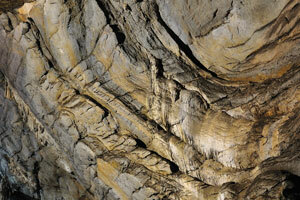 The caves are surrounded by rugged mica rocks and are prospected for precious stones such as rubies. 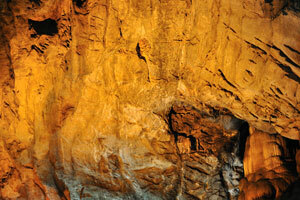 The entrance to the cave is impressive, measuring upto 100 m horizontally and 75 m vertically. 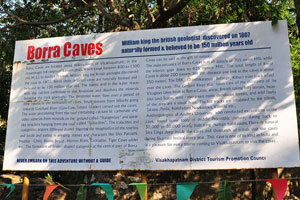 Poster of Visakhapatnam District Tourism Promotion Council. 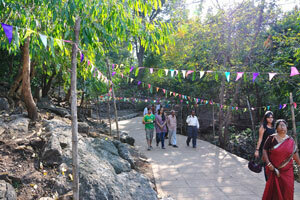 Path to the caves decorated with festive flags. 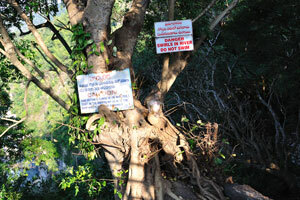 Danger - swirls in river - do not swim. 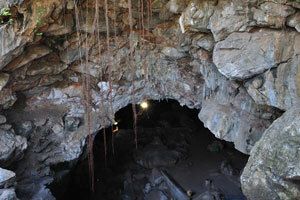 Top hole in the caves. 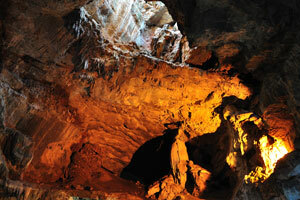 The beginning of Borra caves. 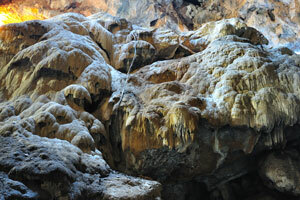 The ceiling of the caves around the top hole. 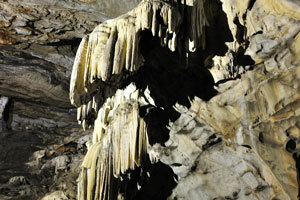 A group of small stalactites in the corner of the cave. 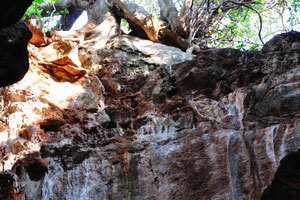 Tree grows near the top hole of the cave. 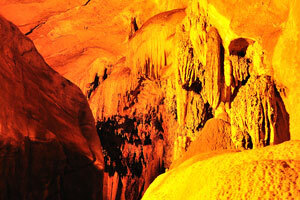 Stalactites have the milky color. 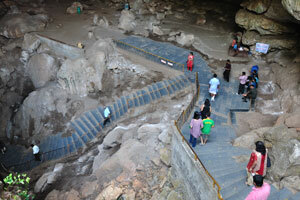 Path inside cave is a series of stairs up and down. 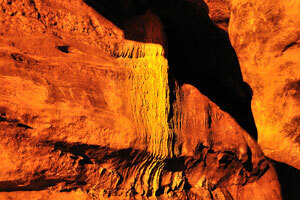 Cold and warm lights are very well thought out. 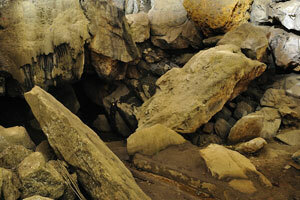 A chaotic heap of stones. 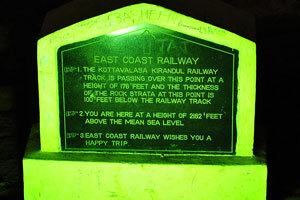 Signpost: East Coast Railway passing over Borra Caves. 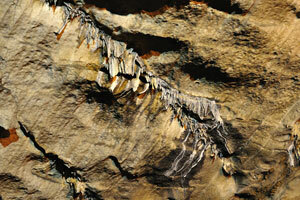 Stalactites running down the wall. 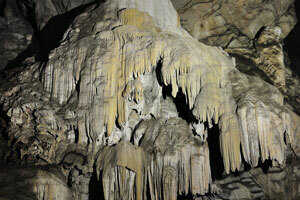 These are some great limestone stalactites I saw in a cave. 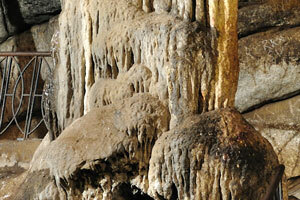 These stalactites take up many of years to form. 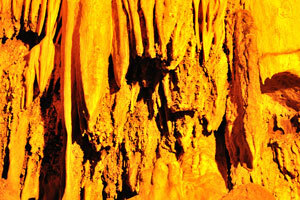 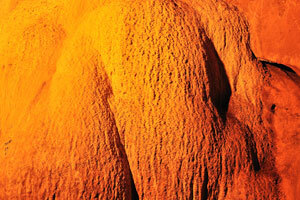 One of the pretty impressive formations. 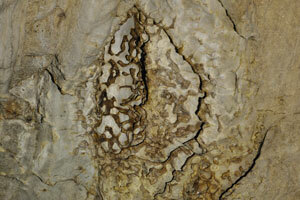 Small stalactites in the form of scales. 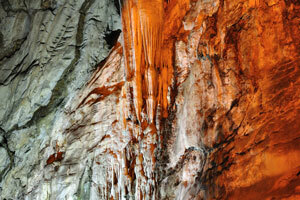 Natural pattern on the wall of the cave. 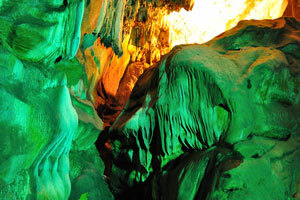 Cave wall consists from ancient layers. 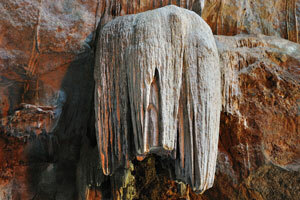 Stalactite was fused with its stalagmite. 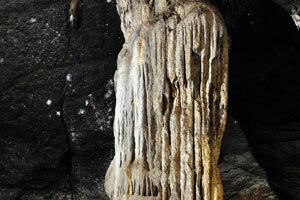 Stalactite is rooted in stalagmite. 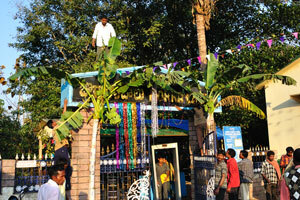 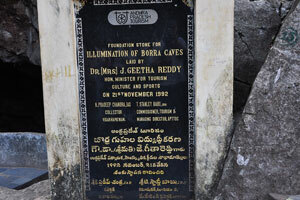 Foundation stone for illumination of Borra caves. 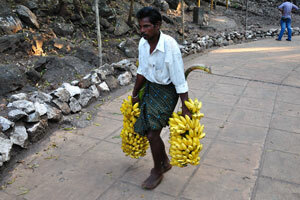 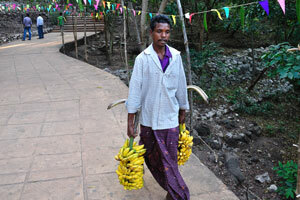 These branches are full of bananas. 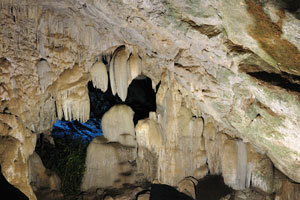 Ice cave of Snow Queen. 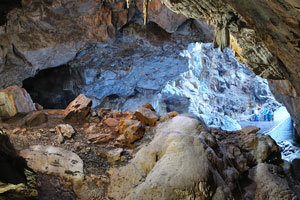 The entrance to Borra caves.